Chemicals such as creosote are used when treating wood, which creates toxic ash and emissions when burned. These particles lodge in soil and groundwater and take many years to break down, so never burn wood if you think it has been treated. Avoid breathing in sawdust from treated wood, and do not add it to compost or scatter on the ground. Redwood and cedar are both naturally pest-resistant. Suppliers are also starting to offer more non-toxic treated wood options. 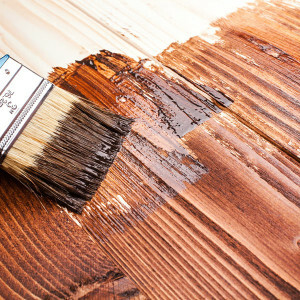 Certain types of wood products can be reused in a variety of ways. Find out how to repurpose your wood product.